Great price, fast delivery and very well made. 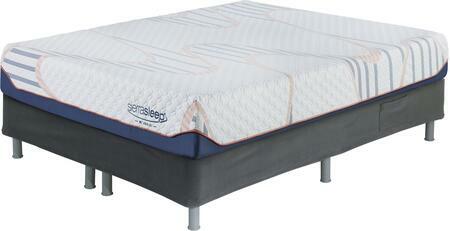 Very happy with the purchase and we bought the mattress to go with it and both are great. Delivery had a mix up but we finally got it! You no longer need a box spring and it makes for an extremely solid bed. I hate bed frames and this has been so much better!! Love it!! I bought this for my son, He had a regular box spring and he broke the wood. This one is Sturdy and strong! Bought two of them both broke !!! Not worth the money I spent !!! The frame works well with our queen mattress. The only complaint is that there were some brackets that had no clear instructions. Unbelievable comfort and durability. Great product by Ashley! Easy set up no tools required unless you are putting on a headboard. Great replacement for traditional frame. 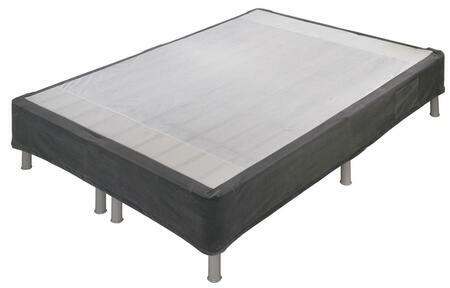 I looked at all the memory foam mattress frames locally and was very unhappy. I even bought an â€œatlasâ€� frame and put it together. My husband said it wouldnâ€™t last long. It was very cheaply made. He packed it back up and returned it. I searched everywhere and Ashley is the only place that has this well made sturdy frame. We were even willing to pay huge shipping to Alaska for this one. It looks nice with its dark gray cover that fastens on with velcro attachments on the legs to keep it snug in place. This product costs more but we felt it was worth it in the long run because of the quality. Weâ€™re very satisfied with our purchase of the Perfect Riser 14â€� King Riser.